I'm looking to buy a DWR spray-on solution in 1L+ quantity. 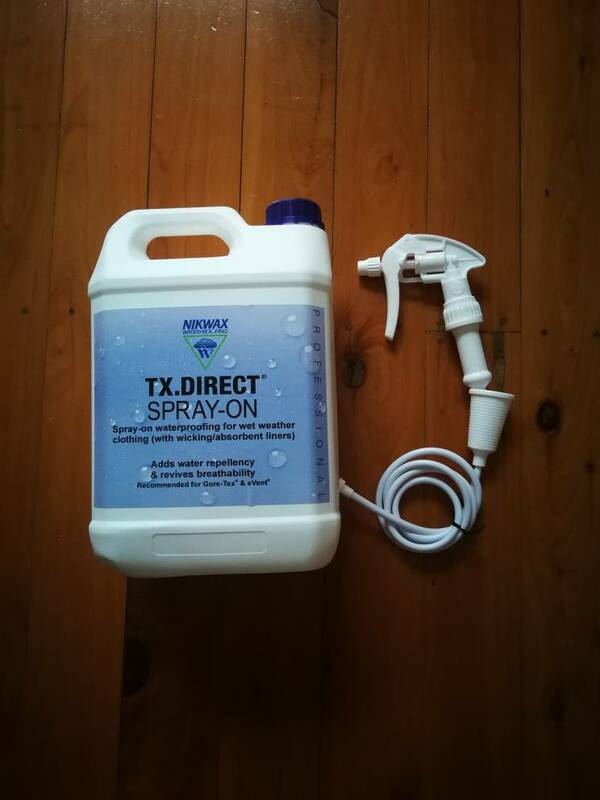 Something like Nikwax TX Direct Spray-on for use on layered garments. Those 200-300ml bottles are so expensive for what you get. There are a couple of sites that sell them overseas but they usually kill with postage. Has anyone had any luck with purchasing larger quantities of the stuff at more reasonable prices? I would echo UK, plus ring them direct and see if you can do a deal maybe on a bulk purchase, I have saved a bit of money in recent times by ringing overseas retailers. Always ring, easy now with mobile call costs being almost nothing. Postage is quick and cheap compared to the US which is poo.... And it's always raining somewhere in the UK. UltralightoutdoorsUK maybe? If you do find a decent supplier perhaps a larger group share might be in order? Haven't been able to locate anything consistent but I did find that ebay seems to be the cheapest. Sellers from the UK are the ones to look out for. But I guess you just have to wait till something comes around. I don't want to appear greedy but i need a fair bit of it and was hoping to use it all. So I might decline personally but feel free to use the thread to organise a group buy. Sorry mate. Surely most members here would use the spray on stuff...? Just got my order. Came with applicator. Thanks to mondogs suggestion I asked them to take extra care packing the bottle. Which they did. Either way it came in one piece. Cheap dwr! Just got a stock notification alert from when I was hunting down some nikwax. That Millets option looks pretty good. Alternatively, Is there any reason why this isn't a good idea to try on an expensive Arc'teryx jacket?